You are here: Home / Blog / Field Trips / Explore, Discover, & Create . . . With Notebooking! At the end of each school year, are you finding yourself swimming through mounds of worksheets, quizzes, tests, and half-finished workbooks wondering just what to do with it all? Where does the organization begin? What do you keep? Where will you keep it? How much should you, dare I say, throw away? As you begin to tackle this heap, your brain recalls the many hours that went into creating this voluminous collection. You may start to wonder just how well spent those hours really were. You remember the great ambitions with which you started the school year and the many good intentions that fell to the wayside in order to finish this massive collection you are now faced with sorting. Finally, you conclude that if most, or perhaps all, of your children’s work is going to get tucked away somewhere never to be seen again, how much value can it possibly hold? Does any of this sound familiar? Well, it doesn’t have to anymore! Our family has been introduced to an ageless tool of learning that keeps us from creating these questionable mounds of paper throughout the year. There is nothing left to sort. There is nothing left to pack away. There is nothing to throw away. Instead, another volume (or two or three or more) of our children’s prized work gets added to their personal library at the end of each year. No more busywork. No more second-guessing if our time has been well spent. As a matter of fact, this tool has freed me from the seemingly never-ending search for the perfect curriculum! It can literally transform the way you approach your children’s education and set afire a love of learning within each child. Spend your precious hours exploring, discovering, and capturing the knowledge that awaits you and your children each day. Make learning a journey instead of a list to be checked off at the end of the day and a pile to be sorted at the end of the year. How do you do this? Let me introduce you to the tool that has breathed new life into our homeschooling. It’s called . . . notebooking! Notebooking is the coined term for what one may refer to as educational journaling or scrapbooking. Essentially, the idea is to take your planned school subjects and activities as well as the areas of your child’s interests and create notebooks, compilations of created pages collected in binders. Your child will fill his notebooks throughout the year with what he has learned about these topics. Written narrations, drawings, maps, and photographs are just a few of the items he may include. The pages of his notebooks will capture both the new knowledge he has discovered as well as his own personal reflections of what he has learned. Through the process of creating a notebook, you will likely watch him become a storyteller, a teacher, and most undoubtedly, an expert in some of the topics he studies. Unlike some of the more traditional tools of learning, like worksheets and tests, notebooking allows your child to develop a deeper relationship with what he is learning. Instead of finding out what he doesn’t know about a topic or study, which is what a worksheet or test usually reveals, he is given an opportunity to express everything he does know. By cutting out the busywork that is involved in some of these more traditional methods, you open a window of time and opportunity for your children to dig deeper into topics, to really get to know the people, the places, the events, the concepts, the ideas, and so on of what they are studying. Then, they take this information, digest it, and produce a notebook that tells all about what they have learned. After following this process, there will not be that sudden “unlearning” phenomena that usually takes place after the traditional chapter or unit test. The knowledge that your child gains during his notebooking experience will stick! Most importantly this process fuels a love of learning as your child begins to discover how exciting and fun it is to learn with notebooking! As your children become more experienced with notebooking, you will begin to see the evident benefits of this great tool. The richness of what they are learning will be apparent as their notebooks become filled to the brim with stories, pictures, maps, quotes, and photographs of the people, places, and events encountered. The depth of what they are learning will be told as new layers are added each year to certain notebooks, such as their language arts and math notebooks. The process of learning they have experienced will be unveiled as you note the ways they organize and choose the material they include for their notebooks. You will begin to see certain notebooks take on your children’s personalities as they learn to express themselves in the variety of ways they have been gifted. It is an amazing joy to sit down with your child while they lovingly and passionately share all that they have learned through the process of creating their notebook. Their hearts and hard work have been poured into this notebook and they beam with confidence at the turn of each page. Each year, as you take time to look back through the increasing volumes of notebooks being added to the shelves, you will see that notebooking has become an amazing “living” record of your children’s journey of learning. Instead of tossing the year’s work into a box in the back of the closet, you’ll be looking for ways to add more bookshelves to house these treasures! So how do you begin notebooking with your family? Start simple. Start with one topic or one study for each child or for the whole family. Perhaps the easiest way to start is to let each child begin a notebook of one of their favorite hobbies or passions. Do you have a child that loves dinosaurs? I do! My youngest son would find spare moments throughout the day to notebook his knowledge of dinosaurs. His head would be stuck in any number of books from the library trying to gather information. That’s where it began for him! Today, he is our leading expert when it comes to dinosaurs. Perhaps the easiest place to start notebooking with the entire family is with any history or science topic because there are so many ways to dig into these subjects. You could start very simply by asking your children to give a short narration of what was read on a particular day either during your read aloud time or their independent reading time. If they give you a blank stare, ask them what they found to be most important or interesting about what was studied and encourage them to write about that. If you have younger children, you may need to write down their narrations for them until they are more proficient with the physical skill of writing. For children who are accustomed to giving short fill-in-the-blank type answers to questions, narration will take some practice to develop. I highly suggest researching the topic of narration for more help in this area. Narration is an invaluable skill that will prove most beneficial in their notebooking studies. collections of quotes from philosophers, experts, missionaries, statesman, etc. Ready to get started? Grab a few essential supplies: binders (or a binding tool), paper, your favorite arts and crafts supplies and a selection of writing utensils and dig in! You may also want to invest in some notebooking templates. These templates made notebooking a reality for my family, especially in the early days of our notebooking experiences. Notebooking templates are pages that have been designed with a variety of preprinted lines, frames, borders, and clipart that provide a quickstart to the notebooking process. Use the preprinted lines for your children’s narrations, copywork and other written work. Use the empty frames to add maps, drawings, pictures, and other items. I became so hooked on using the templates that I began creating my own. Then, after realizing how helpful these templates were to my children, I began to share them with others online. 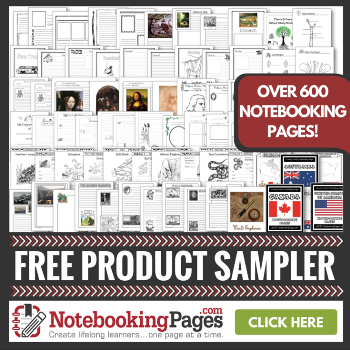 You can now visit our website, www.NotebookingPages.com, to find our growing collection of free and affordable sets of notebooking templates available for a variety of subjects, studies, and activities. 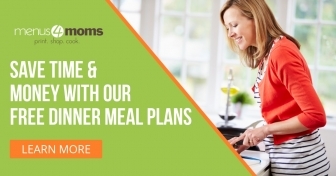 Ready to make learning a more memorable and meaningful experience for your family? Get started with notebooking today! Visit us at NotebookingPages.com (affiliate link) for more notebooking information, freebies, products, articles, and tips, as well as for a variety of other free homeschooling charts and printables. Debra and her husband Brian have a blended family of ten children. Debra runs NotebookingPages.com and homeschools using Classical and Charlotte Mason homeschool methods — both lending themselves very well to notebooking!